A Little Old School Germany In Marietta, Georgia | Home Cooks Unite! Emily is my stylist, and I adore her. She’s been giving me a cut and color every few months for several years and never gives me a hard time for doing my own box color in between appointments. She’s always been very supportive of my blog, so when she told me her mother is from Germany and still cooks traditional German food, I knew I had to meet her. Mike, Gigi and I made our way to Emily’s house on a beautiful fall afternoon. Emily and her mother, Lorie, greeted us at the door, and we got right to work. Emily’s mother is 86, but you’d never know it. She moved effortlessly around the kitchen and completed all of her tasks with purpose. Before she began cooking, Lorie and I sat down at her kitchen table, my favorite place in any house. I wanted to hear about her family recipes and how she learned to cook. I assumed she learned from her mother, but the story she told me was much different. 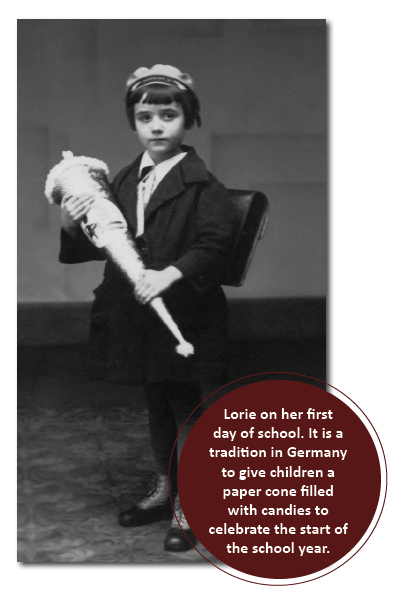 Lorie was a young teen in Duisberg, Germany when World War II broke out. Naturally, learning to cook was not a high priority. And even if she wanted to learn, Lorie said there wasn’t much food, or even coal or wood to cook it with. They typically just took what food they had and simmered it in a pot. “Besides,” she said, “I was working on the farm.” The farm? “I was sent away when I was 14 to work for the war.” That’s right. When she was just 14, Lorie was assigned to work on a farm in the country to support Germany’s war effort. 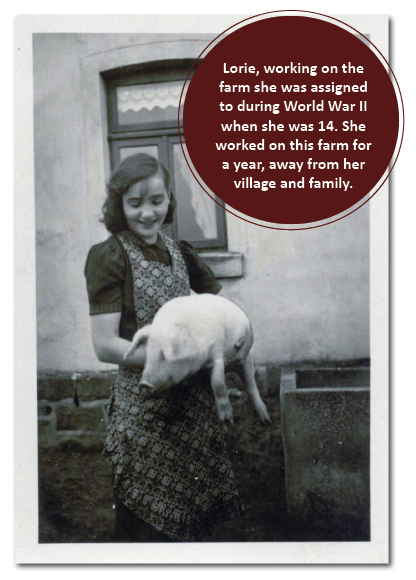 She milked cows, took care of the pigs and worked in the gardens. The best of what they produced was sent to the soldiers. I was stunned. No parents or siblings were allowed to accompany her, and she was gone a whole year. My daughter is almost 14. I can’t imagine being in that predicament. I can’t imagine putting her on a train and sending her off, knowing I wouldn’t see her for a year. I couldn’t believe it. 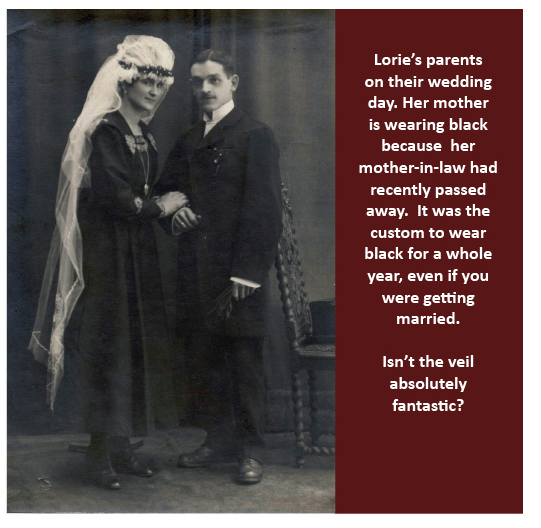 After the war, Lorie married a man from her village. He had moved to the U.S. when he was 14 and came back to Germany to get her when the war ended. He served as an officer in the U.S. Army. They lived the life of a military family, moving all over the country, from North Carolina to California and even served four years in Germany. 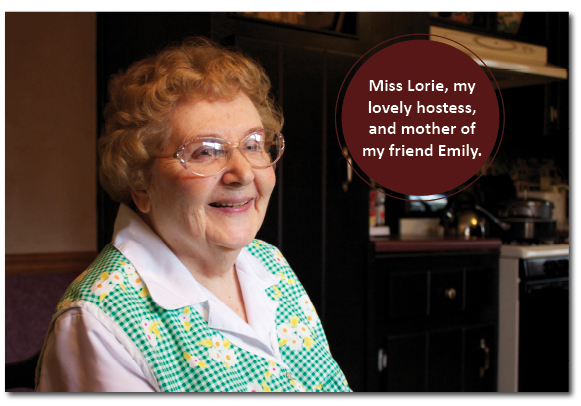 Lorie eventually learned to cook, watching her friends and her mother. Emily told me they had especially delicious Sunday dinners. Rouladen was one of her favorites. Lorie told me different regions of Germany have different versions. Some were stuffed with pork or sausage. Her version has bacon, onions and a yummy pickle. She served it with sweet and sour cabbage and spatzle. It was distinctly German and delicious. Watching her cook it, without a cookbook, handwritten recipe or a single note, was impressive. Even more impressive was Lorie’s sweet disposition. If anyone could be bitter, it would be her. Instead, she’s a generous, even-tempered woman still active with family and community. She makes little wool hats she donates to her church, and still cooks just about every day. I was so inspired by her. Thanks, Emily, for inviting me to your home and introducing me to your momma! The following recipes are from Lorie Boemanns. 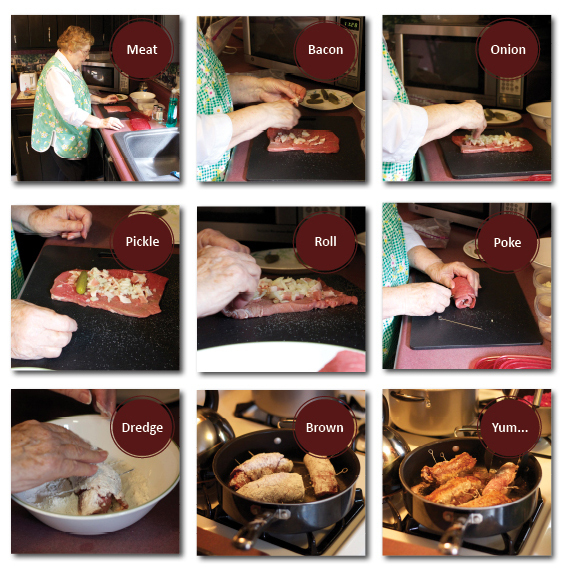 Place bacon, onions and pickle on each filet and roll up. Use string or skewers to hold the roll together. Dredge in flour. Heat oil in a skillet, place the rolls in the oil and sauté until browned. Put rolls in roasting pan and pour in 2 1/2 cups of water and add the bouillon cube. Stir to dissolve the bouillon cube. Cover and cook in preheated oven at 350 degrees for about an hour. 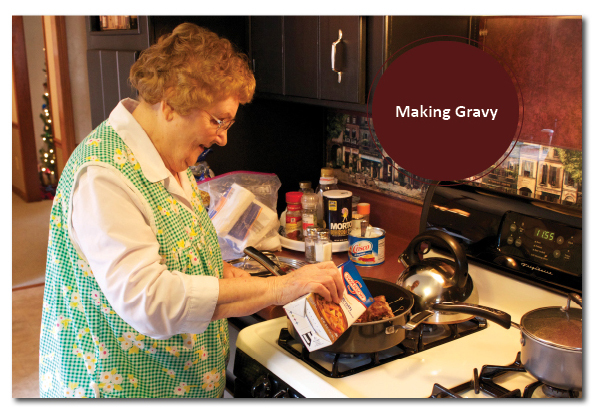 Use remaining liquid to make gravy. Dissolve 2 tablespoons of flour into ½ cup water and add to liquid until thick. 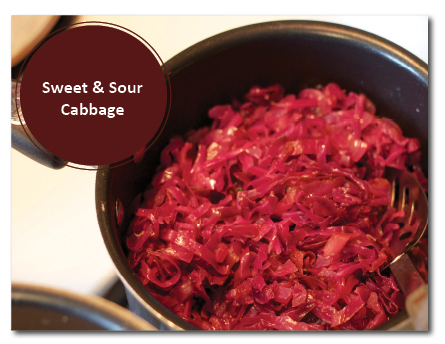 Remove and discard outer leaves from cabbage. Rinse and cut into quarters and shred coarsely. Put in saucepan. Add chopped apples and onions. Add sugar, salt, bay leaf, oil and vinegar. Cover and simmer over low heat 30 to 40 minutes or until tender. As with every installment, Best One!! I will be making this. 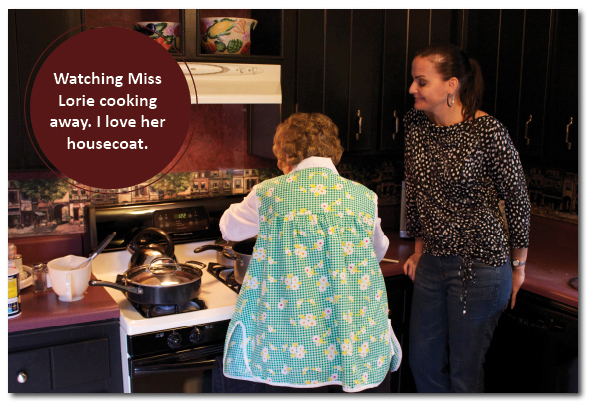 We still have one of Tony’ mother’s little house coats I can wear while cooking. You dredge in flower just before browning. I am impressed with your food blog on rouladen and thank you for making me look good. We enjoyed your visit with your husband and your sweet daughter. It was a pleasure to see a teenager enjoy food that is new to them. Once again thank you so much for sharing a piece of my family history. Love this story. This is exactly what my friend from Germany made for my 40th birthday when she came to visit. Delicious! 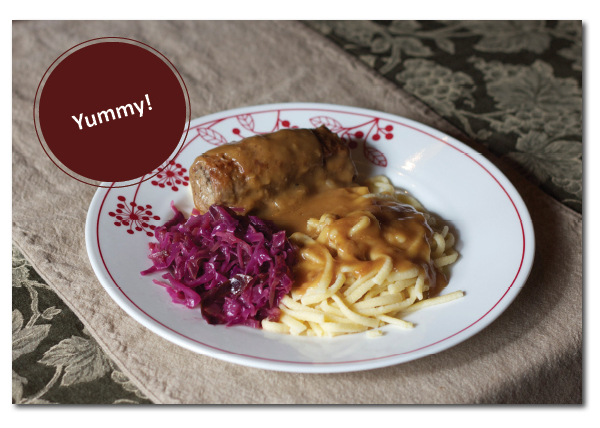 I haven’t made the rouladen, but we make homemade spaetzle at our house all the time. This is an amazing story. My grandmother has a similar one. Was raised on a farm and had to leave for work when she was 14. And she cooks great, hahaah. I love her food. And I felt in love with Miss Lorie.